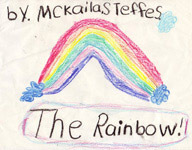 The McKaila J. Steffes Foundation was created in loving memory of our daughter, sister, friend, McKaila Josephine Steffes. 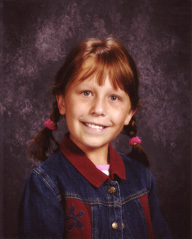 McKaila was diagnosed with an illness called Neurofibromatosis when she was two years old. This brought on her malignant tumors called peripheral nerve sheath tumors when she was nine years old. McKaila fought a valiant and hopeful fight until October 21, 2006. McKaila loved her life. She touched the lives of so many others before she left us, and we are amazed at how many lives she continues to touch. Her essence will always be remembered as that of fun, love and faith. She lives on in each one of us who knew her. And her spirit and love will shine on in her foundation. The McKaila J. Steffes Foundation is designed to help pediatric oncology patients who need financial assistance with their treatments. The three hospitals receiving this assistance are Rocky Mountain Hospital for Children, Children's Hospital Colorado - both in Denver, Colorado, and MD Anderson Children's Cancer Hospital in Houston, Texas. McKaila was treated at these three hospitals and received excellent care. This foundation is a 501c(3) non profit organization. You can learn more about the McKaila J. Steffes Foundation and what we do by watching this short video, produced by her brother, Wyatt. Click here.